If we are looking for an opportunity to give ourselves something during Black Friday, in the weeks before Christmas we tend to be looking for gift for others, friends, colleagues, relatives, in a rush for the gift that initiates as soon as Black Friday has ended. Regarding the opportunities that December 25 opens to brands there is not much to add: our customers are ready to buy, all we have to do is set the right strategy to convert their interest into sales. For each phase we will see a set of campaigns, which we have structured in the form of solutions with which to fully exploit the potential of your contact database. Let’s start with a campaign that takes a somewhat broader approach, because it begins with database building. This is a fundamental operation to be able to give the successive campaigns (when going live) a wider information base, renewed with “fresh” contacts, for the email, SMS and Messaging channel. The focus of this strategy is on the Messaging channel, just introduced in MailUp and which requires new contacts. Here are two examples to contextualize the database building for a new channel: Walmart, which in 2017 focused on renewing its SEO strategy for mobile devices, giving a preview of their special offers only to those who downloaded the app; and also Amazon, which selected products only for those who had accessed the site from the app, adding personalized incentives conveyed by push notifications. Whether it’s a welcome email or a welcome message (for Messenger and Telegram), the important thing is that the message does not only contain the welcome itself, but also – as explainer earlier before – the concrete advantage promised at the time of registration. Set an automatic delivery to trigger the sending of the welcome email with each new subscription. 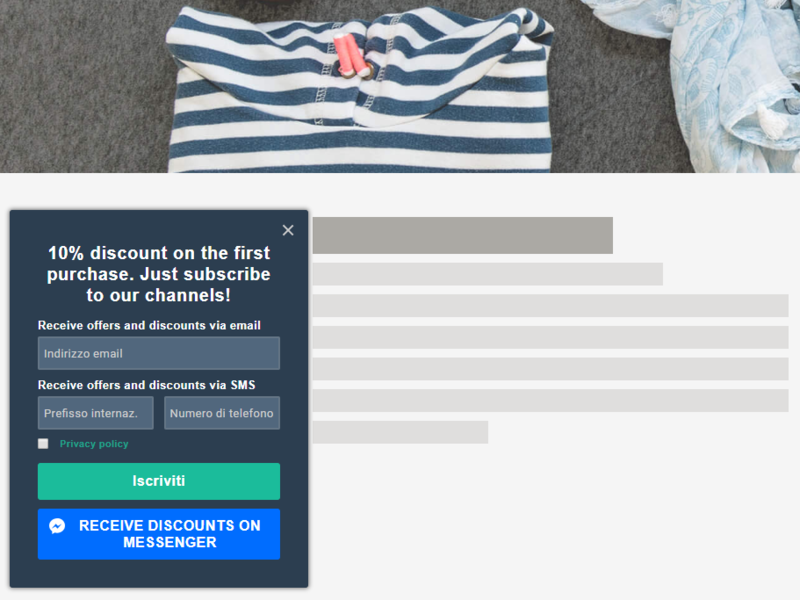 Create the email campaign, making sure that the discount is clearly visible (even better if you do not need to scroll). Here is a real example of an effective welcome with a discount incorporated. Finally the moment of the launch that inaugurates the Christmas season arrives. Find an idea to organize your product (online) showcase in a creative and functional way. For example, you can create new sections of your e-commerce (for her, for him, low-cost gifts, chic ideas, etc.). An entertaining solution, as well as being a useful one, which will be even more effective if communicated through segmented mailings. Declare the winning email campaign and submit it together with the Messaging Apps campaign. This is a great way to generate conversions and to reward your best customers. To ensure your campaign has a high degree of success, involve only those customers who have been loyal to you in the last 12 months. This is a particularly useful recipe during the season going from November to December because, benefiting from the natural Christmas shopping impulse (which involves almost everyone), it allows you to turn regular customers into loyal customers. You can send selections of your best products: the best sellers or the most searched items, throughout the year or during Christmas 2017. In this way you cannot go wrong, maximizing the conversions based on spontaneous selection created by the public itself. Create a landing page in line with your brand and insert the promotional code in an immediately visible position. Identify the best customers group making use of the integrations that allow you to connect systems such as e-commerce and CRM to the MailUp platform. Create a simple email with copy that emphasizes the privilege reserved for a few; then link the landing page to the call to action button. It triggers the automatic sending of the Best customer email. Good for every season, for every holiday cycle, particularly at Christmas, when the gift rush leads people to make closely compare brands and to store products in the shopping carts; these same people will make a decision well in advance or (more and more often) at the very last minute. This is the classic now or never. By setting an automatism you can send a reminder to all those who did not open the opening campaign. 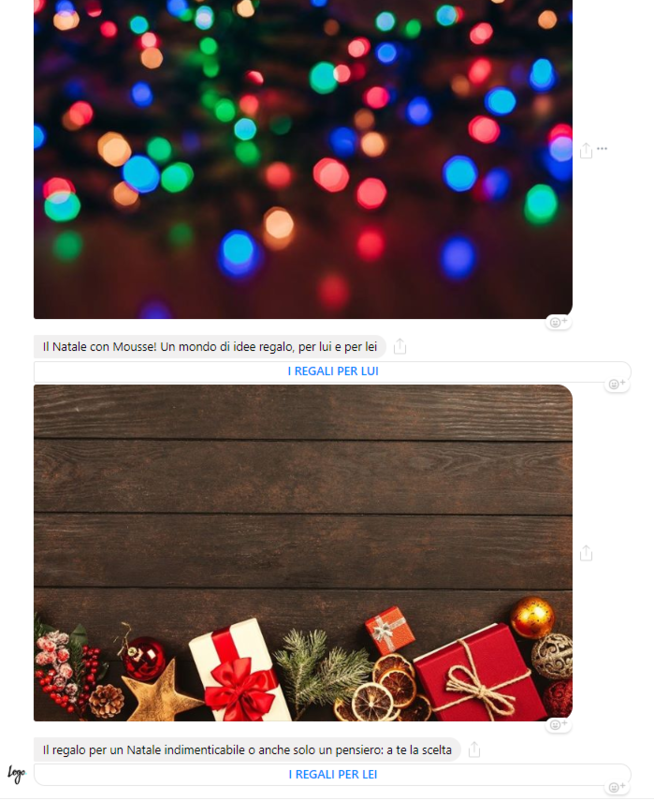 In general, this kind of campaign allows you to intercept the (desperate) needs of those who still have not been able to find the right gift, due to a lack of ideas or incompatibility between the idea and accessibility; but also to intercept all those gifts conceived at the last minute, for those people who were not supposed to get a gift. Just to say that the label of “last minute gifts” is vast and embraces a large number of people. 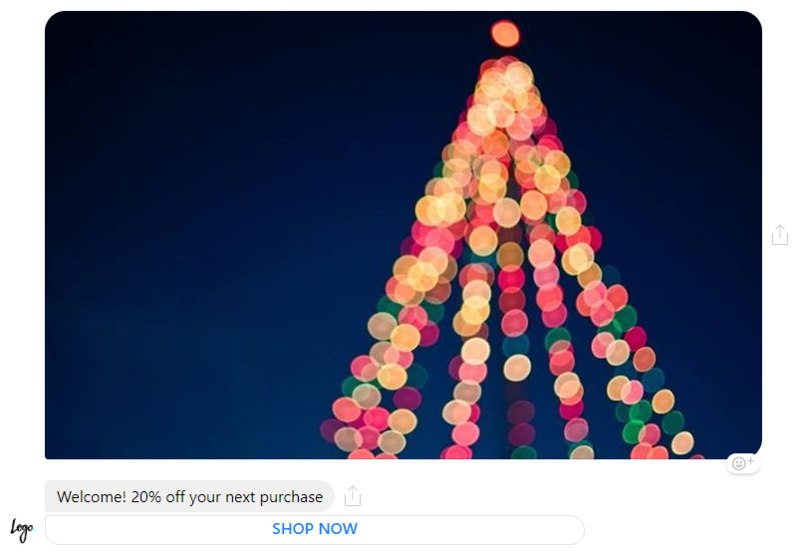 Create an email campaign that makes the concept immediately visible, something that sounds like “last call, with an additional discount and guaranteed delivery by Christmas Eve”. Kelty did it rather well, indicating the time constraints (date and time) of the order for delivery to be guaranteed by Christmas. 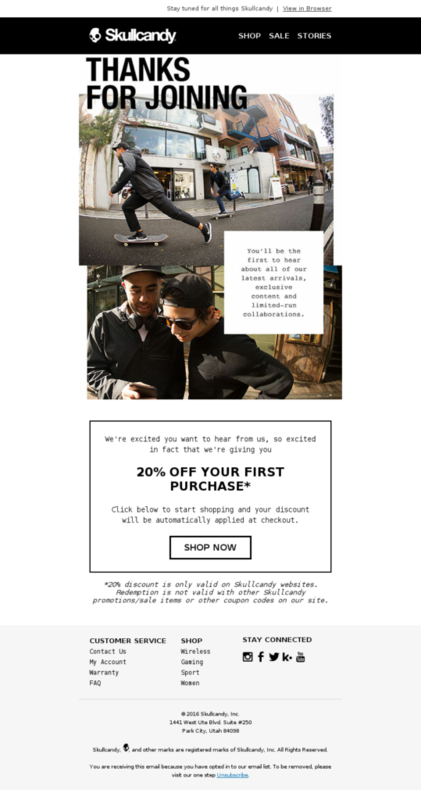 The New Custom email is equally effective. Lastly, do not forget the SMS channel, which is essential to guarantee the message 90% openings. Although most sales take place before Christmas, the Christmas shopping season extends to early January. Even before Christmas, many people are thinking about the January sales. So, take advantage of the huge customer receptivity at Christmas to prepare the ground for January. 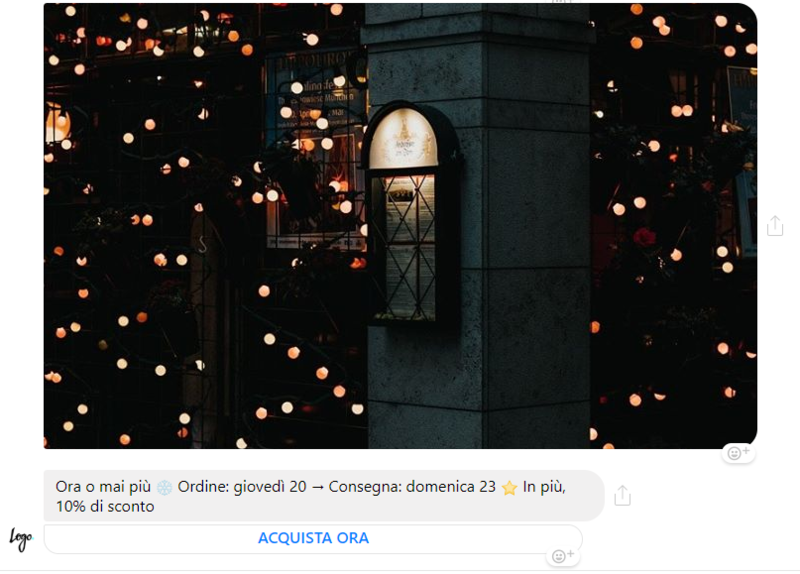 Create an Email and Messaging Apps campaign with a design that is completely unlike the aesthetics of Christmas and that, just like the email above, calls to mind a neutral idea of ​​purification, a new year and a new beginning. If programming is fundamental, it is equally true that in order to implement the strategies we have just seen, it is possible to take action even now, towards the end of November. There is plenty of time. What is needed is an overall view, which allocates and defines mailings and launches within a well-informed editorial plan, and of course technology: request a free trial of MailUp: you can create and send your Email, SMS and Messaging Apps campaigns for 30 days. Nothing else is needed to boost your sales at the end of the year.